Ukrinform continues the project, which acquaints Ukrainians with the new faces of the Supreme Court of Ukraine, tells about those who will wear judge gowns for the first time, and who came to the country's higher judicial body from scientific and educational institutions, from the bar and other spheres of social activity. 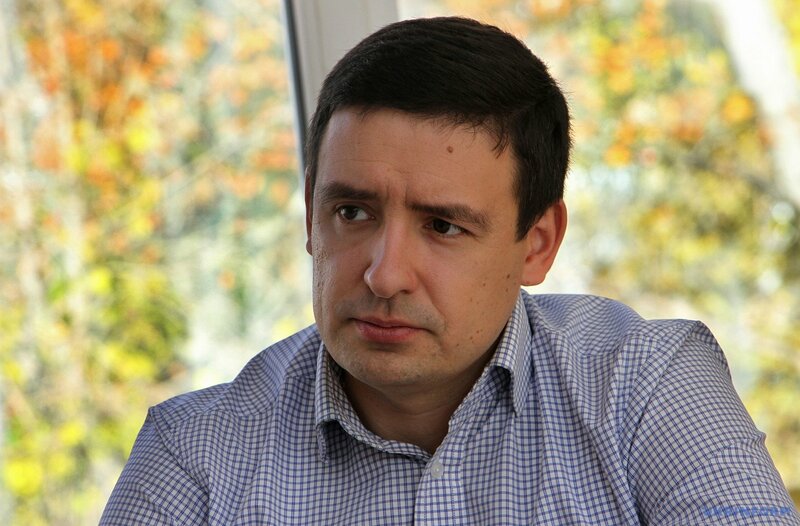 Yehor Krasnov is Associate Professor of the Department of Labor Law and Social Security Law of the National University "Odesa Law Academy" and Managing Partner at the Maximus Law Firm. On November 11, he took an oath of allegiance to the Ukrainian people and became one of the new representatives of the judicial community, about whom President Petro Poroshenko said: "Every fourth judge of the updated Supreme Court is a lawyer or scientist. They will have a chance to build a new justice system." At the competition, he submitted the documents as a lawyer and scientist, and this participation for a resident of Odesa was a kind of "testing" of the reform of the justice system. 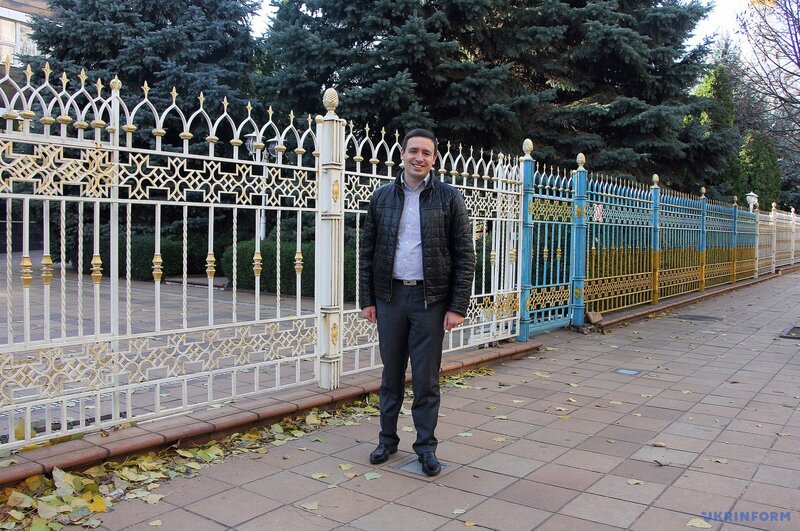 In the Supreme Court, 36-year-old Yehor Krasnov will work as part of the Cassation Economic Court. The choice of profession has never been dubious or ambiguous for me. I wanted to become a lawyer from school. To a certain extent, this is due to the fact that the father at one time worked in law enforcement agencies. I have a classic example of implementing a school dream – taking courses for university entrants to Odesa State Law Academy, studying and finishing the latter with honors, the proposal to take postgraduate courses, and after its completion the successful defense of the dissertation for obtaining a Candidate of Law degree. Why are the student years memorable? The most vivid moments are turbulent debates on jurisprudence and also the participation of the university's water polo team, which I headed, in various championships. There are two things that are probably remembered since the student times - the search for justice peculiar to all young people (it's a matter of honor for law students), as well as participation in various competitions with the university's water polo team. What kind of a drive it was - we were the champions of Odesa! I think now that this was not only an exciting game, but also hardening the character, which helped me set hard-to-reach goals and overcome barriers. The thirst for sports has remained since student years. I believe that it disciplines the spirit and gives impetus to continuous improvement. 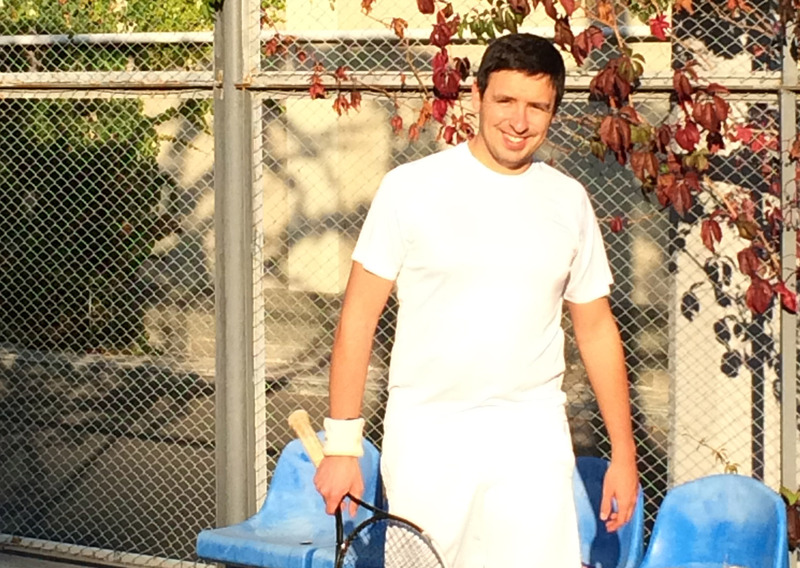 Regardless of the mood and the weather, I play tennis twice a week. This is an intellectual sport - you play with a racquet, but you win with your brain. And this sport requires a lot of psychological stability, and it was very useful during the competition and will help me in further work in the Supreme Court. One of the results of the defense of the dissertation was the preparation of a monograph on its basis, titled "Basic Labor Rights: International Standards and Legislation of Ukraine." When you work on a topic for almost four years, and then a book is printed, then you feel not only joy, but also some relief, because the work done is starting to live its life. This important step in my life was preceded by another competition. Ten years earlier I submitted a statement and a package of documents for participation in the competitive selection of candidates for the post of a judge of the Odesa Regional Economic Court. Following the competition, I was enrolled to the reserve, but I was asked for a certificate on a job opening. Since it was not possible to actually provide it, after the expiration of the three-year period, they simply returned the documents to me. At that time, my "judicial career" ended, not having begun. Despite this experience, when they announced the competition to the Supreme Court, I decided that I would take part in it. And recently I took the oath of a judge of the Supreme Court. And for me personally, this is an indisputable indicator of the fact that the judicial system is changing. Ten years ago I did not have a chance to hold the position of a judge of the regional court, but today, thanks to transparent procedures, this becomes possible not only at the local level, but also at the highest level in the state. My wife, Anastasia, and I are like-minded, so I had her full support. My success in the competition is also her success. It is common to both of us. We are now preparing to move to a new place of work. My parents also calmly took my participation and victory in the competition. I would say it was restrained joy, because too high is not a post, but a level of responsibility. Obviously, the reboot of the system as part of judicial reform has just begun. I consider the qualifying competition for the posts of judges of the Supreme Court as its first stage. The qualification evaluation of almost a thousand current judges is underway. A competition has also been announced for the replacement of 600 vacant posts in the courts of first instance, and a similar selection for appeals courts will be launched in the near future. After these vacant posts are occupied by highly skilled professionals on the basis of a transparent competition, and amendments to the procedural codes, including novelties on ensuring a quick review of cases, the protection of legitimate interests of business representatives and foreign investors, come into force, the approximation of justice to people will become a reality - Ukrainians will be able to feel the changes for the better. I personally believe that it is necessary to complete the judicial reform as soon as possible, as there are a number of "overripe" problems in society that need to be urgently resolved. The division of power into the legislative, executive and judicial branches is not disputed by anyone - it is the basis of the foundations of a democratic state. However, the right of legislative initiative is not the direct adoption of laws. According to the Constitution, this right belongs to the president, people's deputies, the Cabinet of Ministers of Ukraine, and until 2014 this right also belonged to the National Bank of Ukraine, and before the Constitution was adopted in 1996 such a right also belonged to the National Academy of Sciences of Ukraine. In my opinion, here it is necessary to proceed from the specifics of the activities of the Supreme Court. This is a generalization of judicial practice, preparation of plenum resolutions, that is, summing up the practical application of certain laws. Judicial practice shows that it is the judges who identify gaps and conflicts in the legislation. When I was asked about granting the Supreme Court the right of legislative initiative, then, while answering affirmatively, I meant the overcoming of the above negative phenomena in the law, which leads to errors in the use of law. Especially this issue is relevant today, in conditions of the dynamism of legislate and complication of social relations. However, this is a big theoretical and practical issue, which I think will be discussed more than once by judges and theoreticians. I believe that the level of openness of competition procedures at the Supreme Court was unprecedented. This ensured the victory for those who, with a closed rating system, would not have any chance. However, at the stage of submission, a significant part of the packages of documents from scientists was rejected for formal reasons because of the incorrect norm in the law – under which the right to take part in the competition is granted only to those scientists who worked or defended dissertations at universities. This error has now been fixed. Expectation of the results exhausted the applicants no less than the performance of competition tasks. My daughter, Arina, was born in my family, while the competition to the Supreme Court was still in its final stages. Nevertheless, I advise lawyers to take part in competitions for filling vacancies in courts of first and second instance, as well as in the second competition to the Supreme Court and the competition to the court on intellectual property. After all, it's now possible to see both the number of vacant posts for each court and the complete list of documents to be submitted on the official website of the Higher Qualification Commission of Judges. Moreover, the submission of documents is now automated: you register on the website, choose a convenient time and submit documents, as is the case in the embassies. Testing and other competition procedures are also transparent. Several years ago, one could see how the candidates for judicial posts were waiting in long queues. And this is just one of many elements characterizing the quality of reforming the judicial branch of government. I believe that the more highly skilled people come to the updated courts, the easier it will be to work as judges in the highest body of justice. Therefore, I urge lawyers not to stand aside from the processes of change in the state, but to engage in making justice more accessible to all. Yehor Krasnov was born in the city of Odesa on August 22, 1981. In 2003, he graduated with honors from Odesa National Law Academy, and in the same year he started postgraduate studies. In 2008, he graduated from the Institute for the Training of Professional Judges and acquired the qualification of as a Master of Law. In 2009, he defended his thesis for obtaining a Candidate of Law degree in the specialty "Labor law. Social security law" titled "Basic Labor Rights: International Standards and Legislation of Ukraine." He is a Candidate of Law, Associate Professor of the Department of Labor Law and Social Security Law of the National University "Odesa Law Academy," a lawyer, and Managing Partner at the Maximus Law Firm. He is the author of more than 50 works in domestic and foreign publications on the issues of ensuring and implementing human rights in the field of labor and social security, including monographs "Basic Labor Rights: International Standards and Legislation of Ukraine" (2012), "Current Issues in Labor Law and Social Security Law" (co-author) (2015), the textbook "Labor Law of Ukraine" (co-author) (2010, 2013), the course "The Peculiarities of Consideration of Disputes Arising from Labor and Social and Security Relations" (2015) etc. He has been a member of the Ukrainian Bar Association since 2006.